Find out the latest information on the sites you like to visit, mobiles and new technology. Also, find out what’s good, what’s not and what you can do about it. There’s also a place which anyone can use to report if they feel uncomfortable or worried about someone they are chatting to online. All the information here is brought to you by the team at the Child Exploitation and Online Protection (CEOP) Centre. 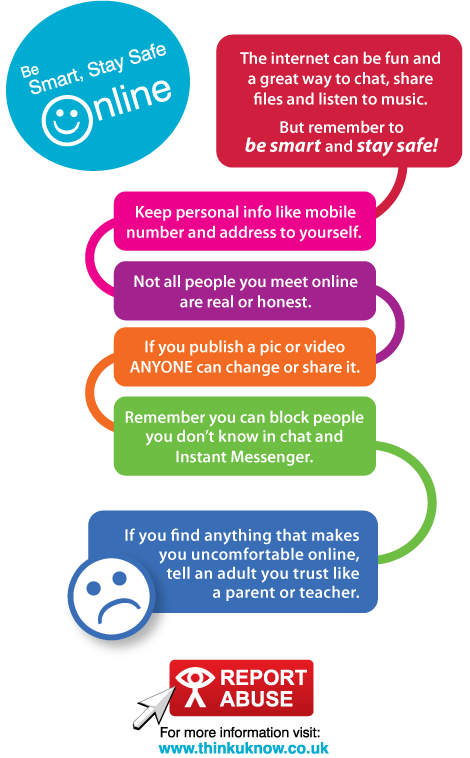 Click Clever, Click Safe – gives you a guide to help you enjoy the internet safely. CyberMentors – CyberMentors is all about young people helping and supporting each other online.